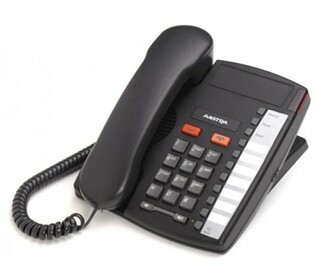 The Aastra 9110 single line corded phone has a sleek compact design, perfect for simple business communication. It is an ideal phone solution for lobbies, reception, hallways, and other areas where telephone use is occasional. The built in speaker-phone with mute provides you with the flexibility to perform other tasks while on a call. Compatible with Centrex, PBX, or standard telephone services it also features one line adjustable display with contrast control, multi-function indicator light and on-hook dialing. 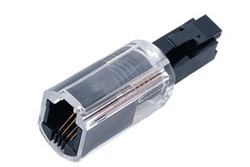 It provides basic telephone service in the event of a power failure. The Aastra 9110 is desk or wall mountable and hearing aid compatible. The Aastra 9110B has many exciting features for users of all types. You can extend the lifetime of your Aastra 9110B with the purchase of a FactoryOutletStore Factory Protection Plan. See the Aastra 9110B gallery images above for more product views. FactoryOutletStore stocks a full line of accessories like Coil Cord and Phone Cord Detangler for the Aastra 9110B. The Aastra 9110B is sold as a Brand New Unopened Item.